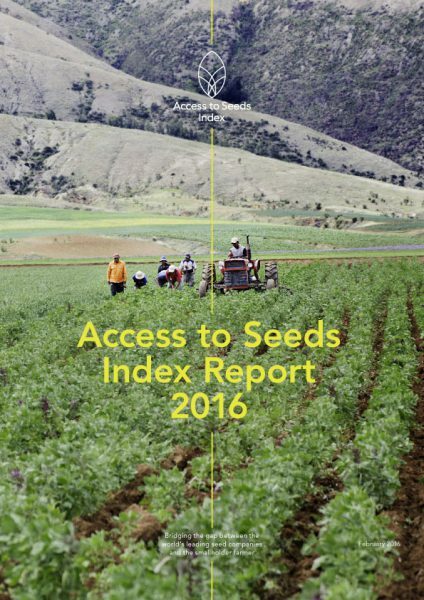 The Access to Seeds Index Report 2016 is the first of a series of biennial reports that evaluate and monitor the seed industry’s performance in bridging the gap with smallholder farmers. The Index focuses on the seven global leaders in field crops (such as maize, rice and wheat), ten global leaders in vegetable seed and zooms in on seventeen leading seed companies in Eastern Africa. The Index, which is published by the Access to Seeds Foundation, an independent, non-profit organization based in Amsterdam, rates each company’s policies and practices to reach the smallholder farmer. The research for the first edition of the Index was provided by Sustainalytics, a leading global provider of environmental, social and governance research, ratings and analytics.